3.9 November 13, 2014: "Safety is the Humber Refinery’s Number One Priority"
At the time of construction Continental Oil (Conoco) owned the Jet distributor of petrol. Jet was formed in 1953 and was based nearby in Keadby in northern Lincolnshire. In June 1961 Continental Oil bought Jet Petroleum, and its 400 garages. In 1960 Continental had bought the German petrol company Sopi, and its 300 garages. The refinery was first planned in July 1964, and in August 1964 it was expected to cost £15 million, and to be operational by late 1966. Construction started in August 1966. 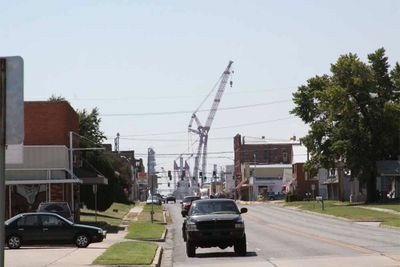 It was built for Continental Oil (UK) Ltd, based in Ponca City, Oklahoma. It was originally estimated to cost £25 million but cost twice that. It was built by Power-Gas Corporation, a subsidiary of Sheffield-based Davy-Ashmore who had a £22 million contract. It should have been built by November 1968, and the delay in completion was blamed on bad weather in the summer of 1968, and the 1968/9 winter. Davy-Ashmore lost £12 million on the project. The railway sidings were installed by the Ward Group of Sheffield. 75 miles of steel tubing were built by the Corby steel works for £250,000. In September 1967 there were gales across the country and a man was killed on the site when an engineering shed fell on him. In October 1967 there was a strike, and 120 workers in the Constructional Engineers Union were sacked. In January 1968 a 20-year-old worker from Dublin was killed when a 275-ton coke drum, being raised by a twin jib rig onto a gantry, fell 50 feet to the ground, causing the worker to be crushed by a crane. Humber Refinery opened in July 1969, producing around 80,000 barrels per day (13,000 m3/d). At the time of its opening Britain was using around 83,000 tons of petroleum coke a year, most of which was imported, and used in aluminium smelting. Much of the crude oil came from Libya, as Continental Oil had large discoveries there, and also in Dubai. The refinery had its own fire brigade. This was used on 8 August 1972 when there was a fire, with 50 feet flames, and a 49-year-old man from Grimsby was killed. In the mid-1970s there was a £45 million expansion of the plant to take its processing output to 130,000 barrels per day (21,000 m3/d). At this time, around a third of the oil it processed came from the North Sea. It was the first refinery to receive oil from British National Oil Corporation's (Britoil) Thistle field on 15 April 1978. In the mid-1990s Conoco invested £500 million in the plant. The notable areas of operation include an alkylation plant, the UK's only premium petroleum coke (for smelting steel) processing facility including three calcination rotary tunnels. 700,000 tonnes of petroleum coke are produced each year. 70% of the refined oil is for UK use, the rest is exported to mainland Europe. It is the world's largest producer of speciality graphite cokes. It is the largest anode coke producer in Europe. Crude oil arrives by tanker at Tetney in East Lindsey, then stored at the Tetney oil terminal, before being pumped underground to the refinery for refining. 130,000 barrels (21,000 m3) of petrol are produced per day, most of which is loaded onto tanker lorries at Immingham Dock. A purpose-built warehouse on the docks stores the petroleum coke before it is shipped out. Reuters reported on February 5, 2018 that Phillips 66 will close the whole Humber Refinery for planned maintenance from May 7-21. The Grimsby Telegraph reported that Phillips 66 Humber Refinery is warning about a job offer scam it has been embroiled in. 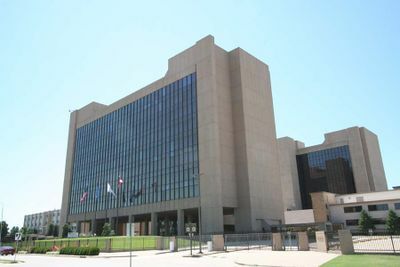 Would-be employees have been asked in a phishing email to provide application fees in the scam. In a statement, the company said: "These fraudulent communications have been sent to individuals through various channels and are typically distributed via email, social media or by phone solicitation in which individuals are encouraged to provide personal or financial information." Phillips 66 enjoys phenomenal responses to recruitment campaigns, often done in conjunction with the Grimsby Telegraph. 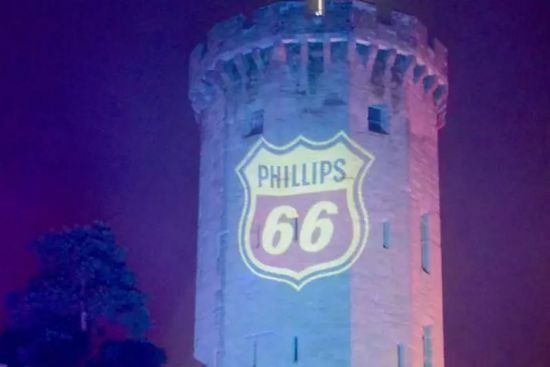 The company's name and logo has been used in the elaborate phishing hoax, which looks to capitalise on the fact Phillips 66 is seen as a top employer. "Email communications from our company will never request sensitive financial or personal information such as social security number, passport information, date of birth, credit card numbers, banking information, etc." The Grimsby Telegraph reported on January 10, 2017 that Darren Cunningham has been appointed as the new refinery manager at Phillip 66's Humber Refinery replacing Julian Stoll. Cunningham has previously been the refinery manager at Bayway Refinery for the past four years and returns to Humber after previously serving as operations manager for Humber Refinery until 2008. Cunningham will be Humber's fourth refinery manager in little over four years, following Julian Stoll, Brian Coffman and Mike Wirkowski, who left in 2012. Stoll has been promoted to regional vice president for refining and will be relocating to Phillips Headquarters in Houston, Texas. Under Stoll's tenure, Humber Refinery completed a mega-turnaround, a feat unlikely to be seen again, as the largest shutdown in the site's near 50-year history was twinned with the replacement of the crude oil reception pipeline beneath the Tetney coastline. Following the huge projects, timed to coincide, Humber was named number one business unit in the entire Phillips 66 portfolio, recognizing operational excellence. At the time of the award, Mr Stoll said: "It was a tremendous performance. We shut down the most complex UK refinery, repaired it, brought it back online and ran for the rest of the year without any serious process issue. I've never seen that before, it was really world class performance. It was very fulfilling." Businesswire reported on July 31, 2015 that Phillips recently completed a major trnaround at Humber Refinery..
Nasdq reported on June 8, 2015 that planned maintenance is underway at Humber Refinery. 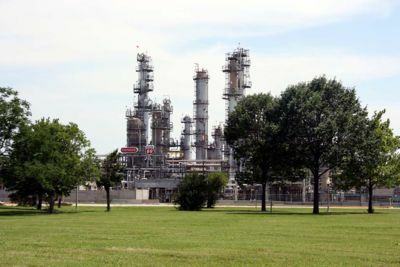 Phillips has planned maintenance underway at five of its worldwide refineries: Humber Refinery, Wilmington Refinery, Ponca City Refinery, Wood River Refinery, and Whitegate Refinery. Phillips did not indicate whether fuel output may be impacted, and representatives from Phillips 66 weren't immediately available to comment. The Grimsby Telegraph reported on May 5, 2015 that Phillips is embarking on major works to replace the 4.5km subsea pipeline that brings crude oil to shore at Tetney. "This is an exciting and challenging project that has been in the planning for more than four years," says Humber Refinery general manager Julian Stoll. "The team have been working extremely hard to ensure that the pipeline replacement is uneventful and, most importantly, safe. We appreciate the support from stakeholders across the region. A project of this magnitude represents another major reinvestment in the area by Phillips 66, and is very important as it provides the ability for us to continue to successfully operate the refinery into the future." The Grimsby Telegraph reported on April 22, 2015 that he Minister of State for Business, Energy and Enterprise Matthew Hancock joined Conservative candidate for the Cleethorpes constituency, Martin Vickers, on the campaign trail speaking to workers at Phillips 66 in South Killingholme, before moving on to the docks and canvassing in the town of Immingham. 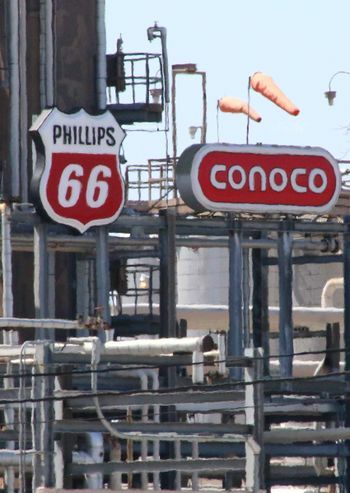 Hancock also met with Julian Stoll, Humber general manager of Phillips 66. November 13, 2014: "Safety is the Humber Refinery’s Number One Priority"
BBC reported on November 12, 2014 that 450 contract employees have stopped working at the Humber Refinery in South Killingholme for the third day claiming concerns over "safety issues". 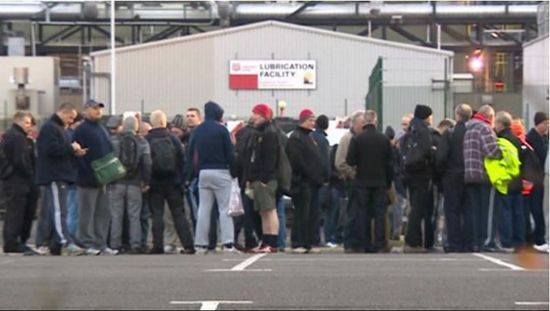 GMB union officer Shaune Clarkson said his members wanted "reassurance" from management that the plant was safe. A spokeswoman for Phillips 66 said: "This morning, despite the repeated offers by the refinery management to meet face to face with each company and their staff, the contractors voted to stay off work for a third day in unofficial action." The company said the refinery was "not being impacted by this action". The Grimsby Telegraph reported on August 13, 2014 that friends of a refinery worker who suffered 60 per cent burns to his body in a steam leak have taken part in an extraordinary endurance challenge to raise cash for those who came to his aid. The team's friend was in a critical condition – and was said to be "touch-and-go" at one stage – but is now making a full recovery. The other man suffered serious injuries, but was also expected to make a full recovery. Following the incident, the Health And Safety Executive (HSE) launched an official investigation, which is still ongoing. The Grimsby Telegraph reported on February 7, 2014 that Phillips has appointed Julian Stoll as the new refinery manager at Humber Refinery replacing Brian Coffman who elected to retire after nearly two years in charge. 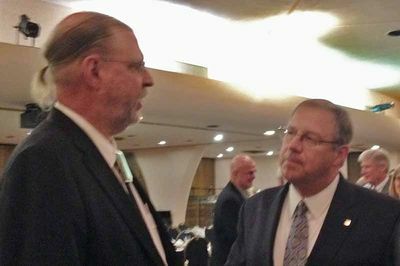 Stoll returns to Britain from the Billings Refinery in Montana, following a step in the career path of Mike Wirkowski, Coffman's predecessor, who departed in the summer of 2012. Stoll joined Conoco in 1991 on completion of a degree in chemical and bio-process engineering at the University of Bath, as a chemical/process engineer at the Humber Refinery. Stoll subsequently worked at Humber in production, economics planning, strategy and business development. Stoll is the first Brit to head up Humber since John Thornton, also originally a junior engineer there, departed in 2008. Stoll's appointment, the fifth change in little over a decade, comes during a period of flux for the wider chemicals sector. The Grimsby Telegraph reported on November 28, 2013 that two workmen from Phillips, who received serious injuries after a steam leak at the Killingholme refinery last week, are still being treated at Pinderfields Hospital in Wakefield with one worker in a critical condition while the second is said to be making satisfactory progress. The Health and Safety Executive (HSE) has visited the site and an official investigation into the accident is underway. ↑ Wikipedia. "Humber Refinery" retrieved April 29, 2014. ↑ Reuters. "Phillips 66 to close Humber, UK, oil refinery for work in May - traders" February 5, 2018. ↑ Grimsby Telegraph. "Warning to jobseekers after scam pretending to be from Phillips 66 is uncovered" by David Laister. February 8, 2017. ↑ Grimsby Telegraph. "Familiar face set to take reins at Humber Refinery" January 10, 2017. ↑ Grimsby Telegraph. 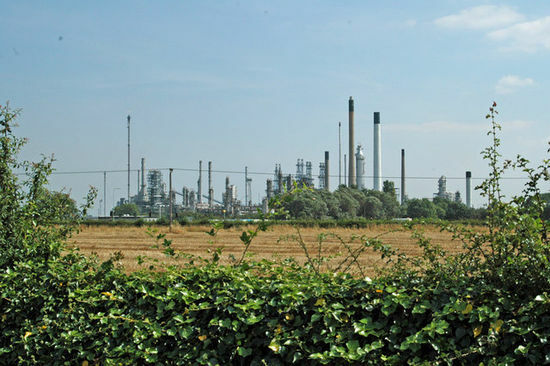 "Multi-million-pound oil facility investment in view from Cleethorpes" by David Laister. May 5, 2015. ↑ Grimsby Telegraph. 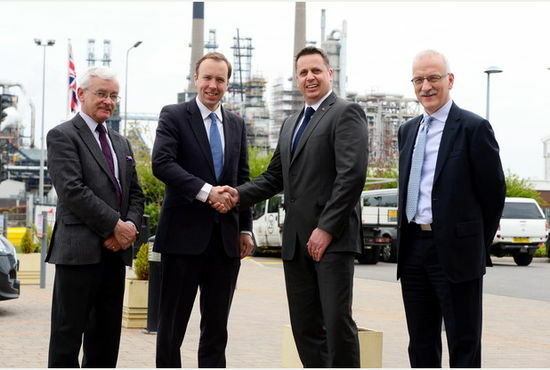 "Business and energy minister Matthew Hancock visits Immingham and South Killingholme on Tory campaign trail" April 22, 2015. ↑ Grimsby Telegraph. "Friends of Phillips 66 refinery steam burn victims taking on coast-to-coast cycle challenge for the Air Ambulance" August 13, 2014. ↑ Grimsby Telegraph. "Management change at the helm of Phillips 66 Humber Refinery" February 7, 2014. This page was last modified on 7 February 2018, at 00:39.